Clinical Topics, Lab Ref., etc. 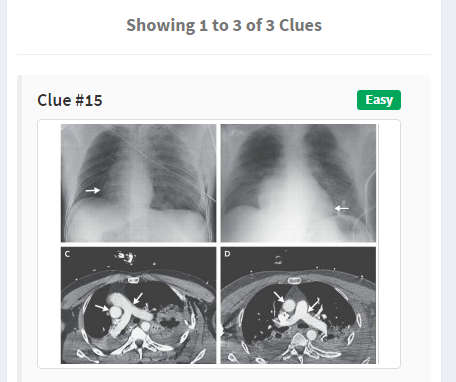 Upload clinical photo (Patient's Clinical Findings, X-ray, ECG, Ultrasonography, CT, MRI, Pathology Slide etc. 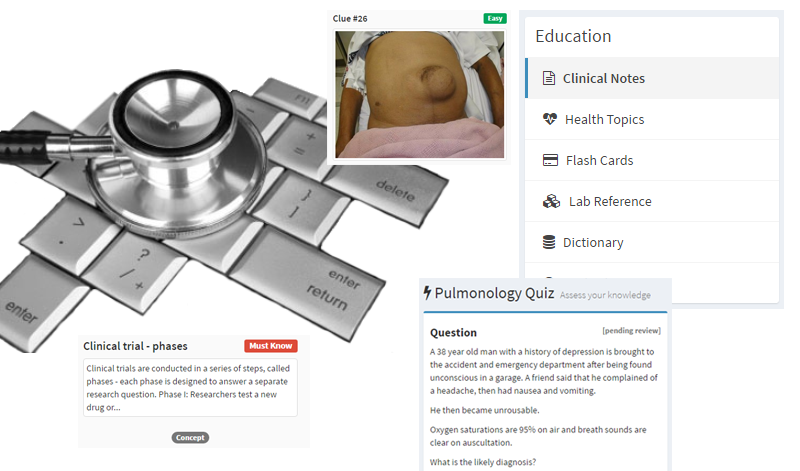 ), Write a clue description, Tag with diagnosis and let others to play with it. We know you are doing this in facebook. But it is not easy to find somedays later. Using our platform anything can be searched anytime and anywhere! We encourage you to share your knowledge in our platform. Because Best method of learning is by doing and sharing with others. 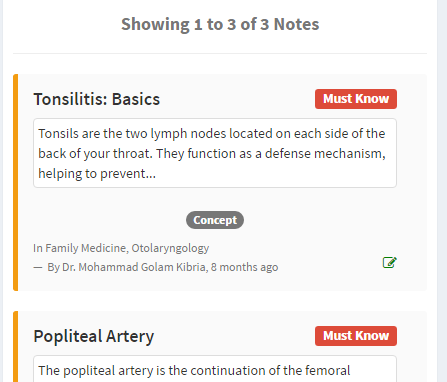 Students and Doctors can Write Notes in tips, tricks, concept and mnenonics category and tag them with Must Know and Nice to know attribute. It will help others for better understanding medical science. 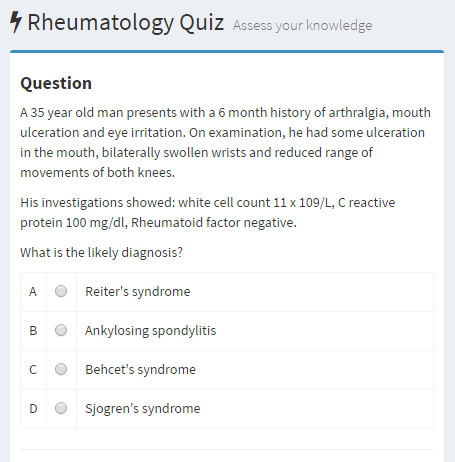 Assess your knowledge in different medical disciplines. Each question will contain 4-8 choices. Among the choices there will be one correct answer. Also, you can submit your own questions. You can see the scorecard of timely fashion. Stuck somewhere? 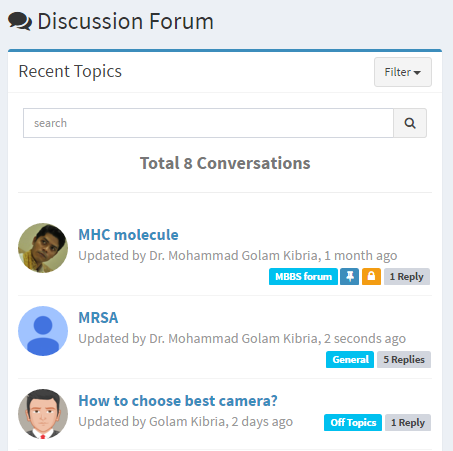 Ask your problems and get solved by helpful community members. Discuss about your future career, practice problems, study problems or what about new movies? Good news is you can hide your identity. So your topics remain annonymous to the platform. Why is so? Simple. We do not want to ask question to others. Probable cause me be we have fear of showing our low level of knowledge to others. Flash Crads are piece of important educational information. Each card has 2 sides, one for heading and other for information. 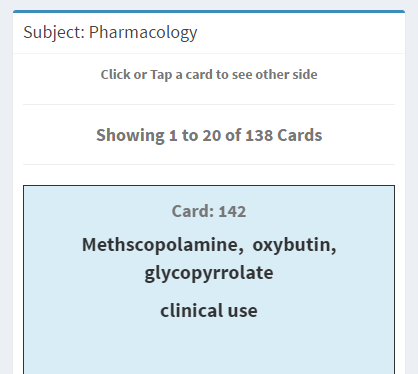 Clicking or Taping each card will flip. Its a great educational tool. Try today! 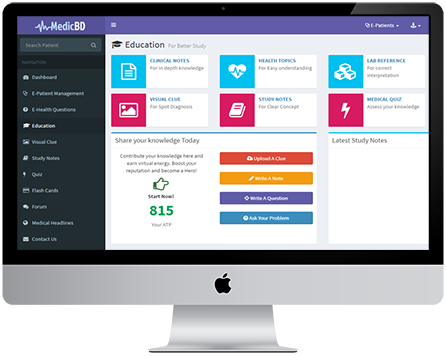 Disease informations in detailed and concise way, Lab references, medical news etc. It is very easy to get started. You only need a Internet Enabled device. We are a group of Doctors, Public Health and Healthcare IT Experts.